A gas geyser is ideal for the situations where solar or a heat pump cannot be installed or where those technologies would be overkill for the requirement you have. Gas works well for a bathroom or kitchen that doesn’t require a lot of water or not often. In the event that there is piped gas in your area a gas bottom boiler can also prove to be hassle free. 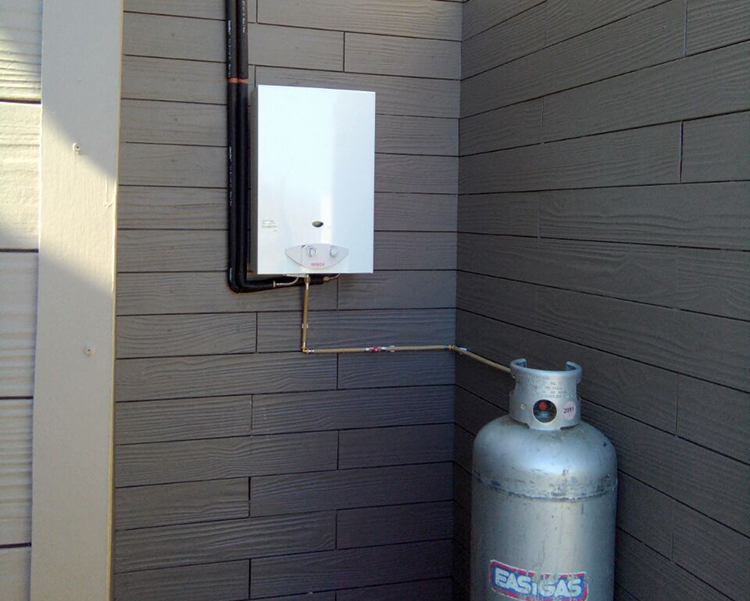 Gas can also be used in conjunction with a solar water heating system. We pipe the gas geyser in after the solar geyser and when the water isn’t hot enough the gas geyser heats the water to the required temperature. This removes the electrical element from the equation perminently.